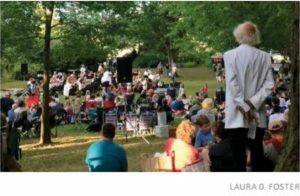 The date for a free summer concert at Glenhaven Park has been set for August 24th. Bring your lawn chairs, picnic basket and snacks to enjoy an evening of music and neighborhood friendship. Featured will be the reggae, funk, rock styles of Pyata & The Rhythm. Previous Post82nd Ave. What’s Going On? Any Ideas?Next PostGet Ready for the Roseway Neighborhood Clean-up!